EUR/USD Intraday – The EUR/USD pair initially rose during the day on Tuesday, but turned back around to form a shooting star. The shooting star of course is a very negative sign, but as we have recently broken above resistance, it makes sense that the market will pullback in order to build up enough momentum to continue going higher. If we can break above the top of the shooting star from the Tuesday session, we would be buyers. On the other hand, if we pullback and find support below would be more than reason enough to start going long, as I see a significant amount of support down to the 1.14 handle. 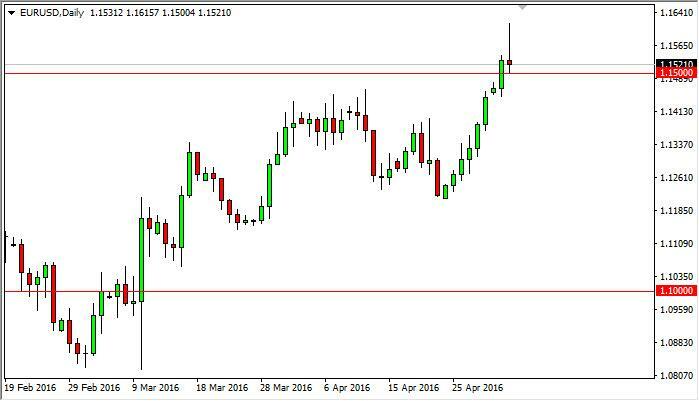 Most Likely Scenario: short positions below 1.1540 with targets @ 1.1450 & 1.1415 in extension. Alternative scenario: above 1.1540 look for further upside with 1.1600 & 1.1660 as targets. Comment: The pair broke below the lower boundary of a bullish channel.